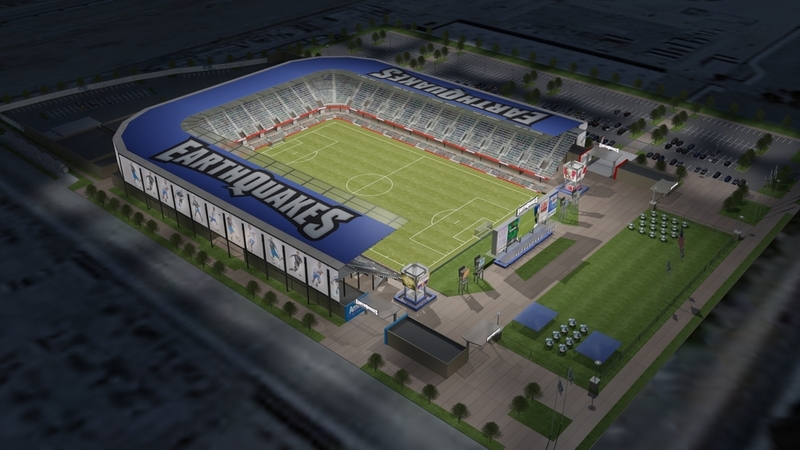 I'm really looking forward to this stadium and the Quakes deserve a permanent home they can be proud of. I can't wait until this thing officially becomes under construction! We need a soccer stadium like we need a high speed light rail and a nfl stadium and a downtown ball park and another hole in our heads? No offense, but you are obviously not a soccer fan. The new stadium is being privately financed by a team that doesn't have a lot of money (compared to others in MLS). Comparing HSR to this new stadium is just plain silly. Where does this stand at the moment? Has a groundbreaking been determined? I know the site has been cleared but I haven't heard anything since. We do need a soccer stadium, high speed rail, an NFL stadium, and a downtown ballpark. You can keep the hole in the head.